The travel distance between Split and Sarajevo is app. 300 km. The fastest road goes via the highway from Split to the highway exit point in Vrgorac. Travel time by car is about 4 hours with car. Travelling by bus from Split to Sarajevo From Split there are several daily departures towards Sarajevo, most of the buses travel via Mostar, so if you wish to see Mostar you can actually take the early bus from Split and then spend the day in Mostar before you continue to Sarajevo. The bus timetable for buses between Split and Sarajevo you can see below. Buses from Sarajevo to Split you can find here: Arrival in Sarajevo The main bus station in Sarajevo “Autobuska Stanica Sarajevo” is situated next to the main train station at the address Put života 8, 71000 Sarajevo. From the bus station there is affordable tram connection to the old town, and alternatively taxis are really cheap. If you need accommodation you have several small hotels and hostels close to the old town. Also hotels and hostels within walking distance of the main road can be recommended as frequent trams run along the road. Click on the icons to see a large selection of apartments, hotels and hostels in Sarajevo. Other means of transport: By car, on the map below you can see the possible driving route. 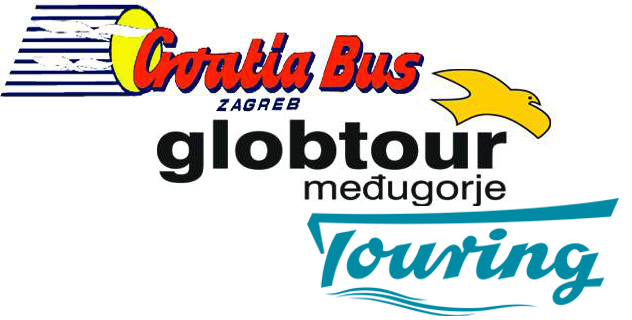 In addition to the two listed routes, it is possible to follow the coastal route from Split to Makarska and then continue on the highway from there. Be aware that you can easily run in to speeding control in Bosnia, so make sure to follow the speed limits. By plane, flying to Sarajevo from Split is unfortunately not possible By train, the nearest train connection is from Ploce, which means you first will have to take a bus from Split to Ploce. In terms of travelling time, the bus from Split to Sarajevo is much faster. 28.5% off for adults traveling from 31.01.2019. to 31.05.2019.